I have never been a fan of football (the American version for our friends abroad). To be completely honest, I found most organized sports strange for most of my life. While I learned to play and appreciate soccer, even watching it on television occasionally, football still seemed one of the strangest recreations undeserving of its fame. What are all these men doing in body armor? Why is each side essentially composed of two completely separate offensive and defensive teams? What is with the frequent breaks, time-outs, and lack of stoppage time? Watching and enjoying a game of football seemed a worthless endeavor. Now I am a proud owner of a fantasy football team, excitedly anticipating the season’s first game just two weeks from yesterday. If we were to broaden our definition of video games to include fantasy sports, its player base would be more than double that of World of Warcraft. Since its birth, fantasy football has spawned other games, such as hockey, cricket, professional wrestling, and even fantasy congress. The basic concept is simple. 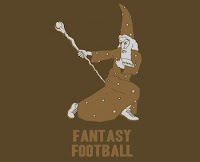 Each participant in a fantasy football league drafts players or groups of players for each required position. For example, my particular league players with one quarterback, one running back, one running back/wide receiver (either position can fill this slot), two wide receivers, one wide receiver/tight end, one defense, and one kicker for a total of nine slots, with an additional seven benched players. Thus, each player composes a team of sixteen real life players and then compete each week against another player for highest total points. Those who know and appreciate football will tend to get the most out of a fantasy football game. For many, drafting real players satisfies their desire run a team of their very own, normally reserved for the ludicrously rich. Personally, I found such aspirations unappealing. Instead, I learned to enjoy the sport by making it completely my own. This is not to say fantasy football is a solitary sport. I play with my brother and several good friends, all of whom pressured me greatly to first lead a team. Playing with others goes a long way for enjoying a game, even games in which you have no interest. Draft day is a highlight, an excuse to hang out with friends, jape their picks, and try to outwit and predict their selections. Ranking my list of players becomes a game in and of itself, even with help from internet professionals. In many ways, fantasy football is like an MMO. It’s a persistent online game, that I play, even before the actual season has started. In retrospect, I think my initial displeasure with real football stemmed from an incorrect perception about how the game is played. This is different than the set of rules followed in football, many of which I still do not understand. I have no expertise about pass-plays and run-plays, or how to decide which to choose. Simply put, I had always thought football was an action game, when really it is a turn-based strategy game. Each play is a single turn, and each option the quarter back has is a potential maneuver. Whether a throw succeeds or fails depends on which strategy was used in one instance, how expertly it was performed, and how it matches up with the same condition from the opposing team. With this in mind, fantasy football is actually a dual-layered strategy game. Building a team with real players is akin to picking a starting set of flowers in Plants vs. Zombies, for example. Deciding which players to put in during a given weak is like choosing which troops to build in Starcraft. I admit, these are weak metaphors. Regardless, they capture some of the forethought that goes into preparing to play while not actually playing - the entirety of fantasy football. By the time the Steelers play the Falcons, my fate is sealed. I merely watch how well my gambles pay off. Which is not to sell the game short. The mechanics of fantasy football, that is the ability for players to use waivers, research players and teams, and plan accordingly, is very deep. Starting Jay Cutler, the Chicago quarter back, may seem like a bad idea considering his score average last season. However, considering he is playing against a weak Detroit defense, has a strengthened defensive line, and is newly coached by Mike Martz (the very capable offensive coordinator), such a strategic decision might actually prove worthwhile. I am still not a huge fan of sports culture. 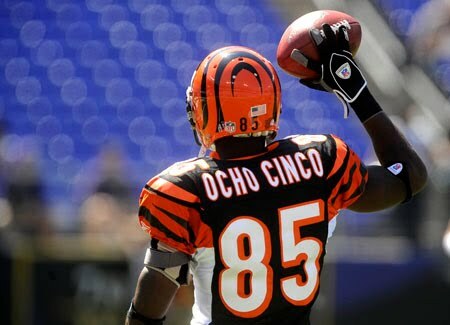 I do not root for any particular team, nor do I wear a jersey with my Ochocinco scrawled on the back. I do, however, pay attention to football with the fervent attention of a competitive gamer. I play this game many times each week, and every round has its own risks and rewards. My understanding is colored almost exclusively by my gaming habits. I play a class-based strategy game with armored warriors, long-distance spell casters, and legendary heroes. Although many people love football, the game is mine alone. Nice article. I have often tried to explain the appeal of football to my non-American friends who are often fans of soccer or rugby and you hit the nail on the head. It isn't so much about the action during the play (which is of course interesting if you enjoy such things, I do,) but about the action between plays. The choices that are made, the strategies, plays, that are used. The breaks give the fans time to use their own judgment on what should be done, to predict what play will come next and so forth. Thanks for stopping by. 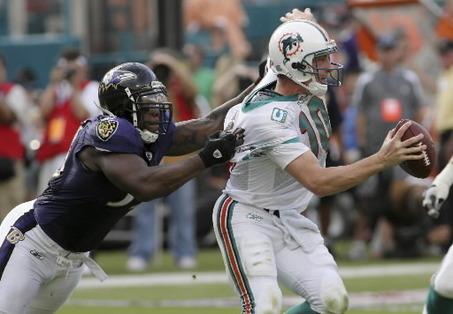 It's funny how long it took me to get why people watched football in the first place. Once you break sports down, and even more so when you can participate and change viewing the game into an interactive game of your own, all sorts of things change. I wonder how my perceptions about gold would change if I played Fantasy Golf...ugh...probably not that much.